There is something in the bag for everyone, good or bad, rich or poor, US or Canadian based. In 2012, there are many buyers and few sellers. It could get real crazy, like a pair of 80's moms fighting over a cabbage patch doll! Everyone has an opinion on what they should get... here is ours. Trade everybody that they can get something for, and not even listen to offers for Getzlaf, Ryan and Perry. Blake holds value for a playoff bound team. Never afraid to shoot, Blake puts pucks on net, something every postseason team can use. Selanne would have to consent to a trade, we all know what he can do. Trading one of the big three would be a huge mistake for the Ducks. A down season should not induce that kind of panic if they expect to be a perennial contender. P.S. Forget anything that you hear about the Bruins trading Tim Thomas. Long after everyone has forgotten his White House snub, the Boston brass will remember Thomas' spectacular play in last season's Cup run. 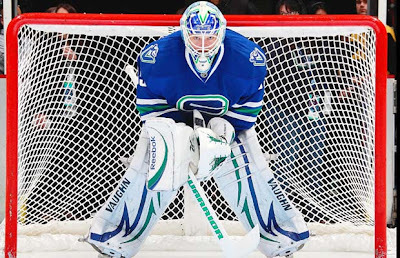 After a goaltender puts together the greatest net minding show in NHL post season history, you don't go swapping him on a whim the next year. New owner Terry Pegula wanted to show the fans of Buffalo that he was willing to invest in making this team a winner. Sadly, his spending spree has turned the Sabres into something resembling the Washington Redskins of the NHL. A team that showed so much promise just a year or two ago, now risks being blown up. Boyes and Leopold are unlikely to be back next season, so why not move them? Hecht has seen better days, but the Sabres have to get real value back if they are going to give up on Roy and Gaustad. The Flames are on the bubble. 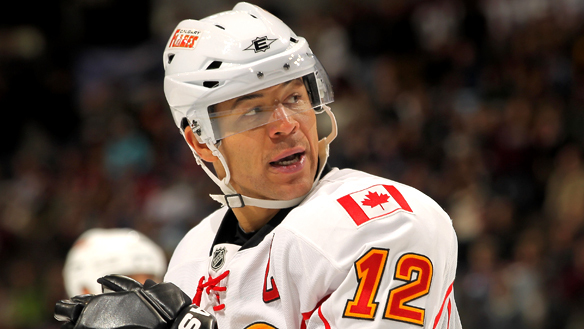 If GM Jay Feaster believes he needs to rebuild the core, now is the time to move Iginla, while he is still productive. If he chooses to build around the current core, just moving UFAs to be for prospects and picks will be the way to go, as Kostopoulos, Hannan and Stempniak would present value to sure playoff teams looking to make a deep run. The Canes added pieces over the summer that they believed would give them the boost they needed to improve from last year's disappointment season. However, that boost never came, and Carolina is staring a rebuild square in the face. "All future UFAs must go," reads the sign out front of the RBC Center. There will be no shortage of suitors for Ruutu, Spacek and Allen. It's a good year to be a seller, so the Canes will take the draft picks and young players in exchange for some good vets that won't be back. The Hawks are right up there with the elite, despite some leaky play in net and on defense. 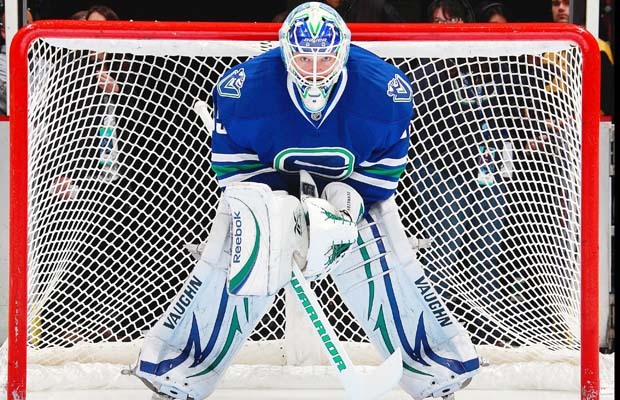 Chicago will no doubt look to sure up the blueline, but it also would not be surprising if they took a look at a low-risk, rental type in goal, such as Vokoun or Nabokov. Sit tight. This Avs club has performed better than most expected them to. Without doing anything, they could make the postseason, but it's unlikely that they will make a deep run. Colorado could wait until the draft to make any key trades, and then look at what they can add in free agency. It's a sellers market this year, but they wouldn't want to sell their way out of a realistic shot of make the playoffs now. Wait on Jeff Carter. Let's face it, Columbus is flat out awful, but let's not blame Carter for their meager defense and dreadful goaltending performances. Pittsburgh made a big trade last season to add James Neal near the deadline. He scored one goal in twenty games. Carter's sample has not been much more than Neal's last year. Yet had the Pens given up on their acquisition so quickly, they would have missed out on a masterful goal scoring performance this season. If they don't trade Carter, Nash, needless to say... stays! The Stars are in a similar spot as Calgary. Not quite a true contender, but not far off either. Do they go for it now, or play it safe? Dallas should sell of spare parts, and only make a splash, like trading Morrow, if they get future leader (a Ryan Callahan type) in return. The best course for Dallas would be to stick out the season and wait for the draft and free agency to piece together a winner. Look for just the right match. The Wings find themselves in a familiar position, as a leader in the Western Conference. However, they are also in an unfamiliar position, as a team with a lot of cap space. Detroit could bargain for a blue chip player and easily fit him under the cap. Adding a Ryan Suter, Ales Hemsky, or a bigger long shot like a Zach Parise would put the Wings in pole position for the Finals. Yet, slow and steady has built the winning-machine that is the Winged Wheel, so they may once again opt out of the frenzy, just to lure one of those top names in the summer... at a reduced cost, of course! Sell 'em all! 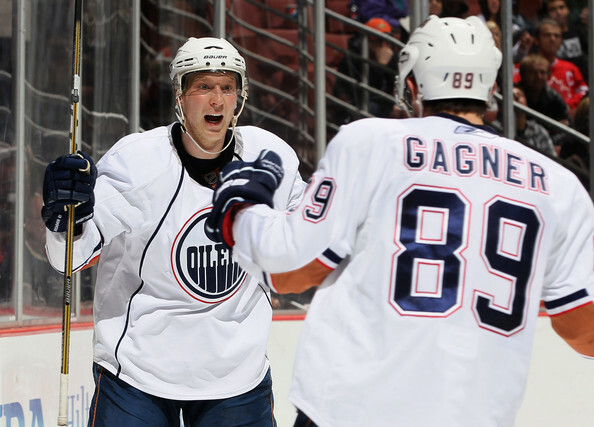 Edmonton is loaded with talent up front. They lack defense and goaltending. Selling off the pieces that don't fit, but still have value could place them in position to make a real run next season. They don't have to unload all their future UFAs, but they will be much better off if the do. The Panthers collection of characters from the Island of Misfit Toys has paid unexpected dividends. While most everyone believed that their off-season spending spree would make them a bit better than last season, few thought they would be pushing Washington, or passing by Tampa for the Southeast title immediately. Florida needs to make the postseason this year to stir local interest in the team again, so it's likely that they will add some additional veteran talent. They haven't been linked to any particular names, but someone that they acquire at the deadline will raise eyebrows. The Kings want to acquire someone to do the job that they hoped that the failed experiment Dustin Penner, and the injured Simon Gagne would do... that being score goals, taking pressure off Kopitar and company. With Jonathan Quick playing in top form, they have a spare Jonathan in net, Bernier, that could reap the aforementioned scorer. Move Harding at the peak of his value. The Wild have their own mini goaltending factory. Between Backstrom, Harding and rising star Matthew Hackett, Minnesota has assets to move for players who can put the puck in the net. Although Dany Heatley has been mildly successful this season, the Wild are desperate for goal scorers. If Minnesota makes the postseason, it will because they acquired a player that added a few goals after the deadline. Not trade Subban, and ship out all potential UFAs. 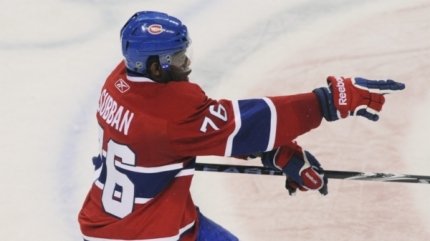 It's been a rough season for Montreal and Subban. Some inconsistent play, a benching, some displays of immaturity, but aren't those things expected at times of a 22 year old? Despite the disappointing performance, there is a strong, young, core in Price, Gorges, LeBlanc, Eller, Pacioretty, and yes, Subban that can be built around for long term success. Roll the dice, hold on to both Weber and Suter, and add some scoring power. Weber is a pending RFA, so he is very unlikely to escape. Nashville has a great organization that is short on revenue. Retaining their blueline strength and adding some offensive punch can go a long way to solving their problems. A scorer would help extend a playoff run. The run would stir interest. 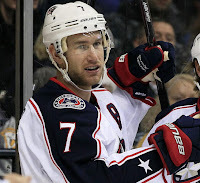 The interest would stir investment, aiding in re-signing Weber and Suter, and so on. Add a few maintenance pieces to ensure the postseason. The Devils are in a financial crunch, which seems a bit silly to say about a team that just splashed the pot with an outrageous signing/fiasco in Kovalchuk just a year ago. With that said, they might be crazy not to trade Parise now, gaining what would not doubt be a haul of future assets, but they would also be crazy to trade their way out of a nearly sure playoff spot this season. Wait for the market to come to them. Really, the Isles should be better than they are this season. Across the board, this team has high end talent. The problem is they never have won as a group before, so potentially they could use some viable veteran influences. Not the Jay Pandolfo, Brian Rolston, one foot in the grave type vets, more like the Matt Carle, Ryane Clowe, Brendan Morrow types that have played on winning teams, and still have a lot of hockey in them. They have talented assets and plenty of cap room. The Isles don't have to be aggressive, just wait to see what's offered to them. Nothing. Isn't Brad Richards, and contention for the President's Trophy enough? The Rangers are legit. They have scoring, toughness, defense, goaltending, and not least of all, chemistry. Don't mess with it. The Sens made a big move early bringing in Kyle Turris. Ottawa will be in the playoff hunt to the end, so they will need to bolster themselves with some size on defense and a versatile forward. The team has some great pieces, both young and old. They suffer from a terrible lack of consistency. If they make moves, they should look to make hockey trades for the long term, rather than a one year run now. Philly wants to bolster the blue line to help off-set the loss of defensive leader Chris Pronger. 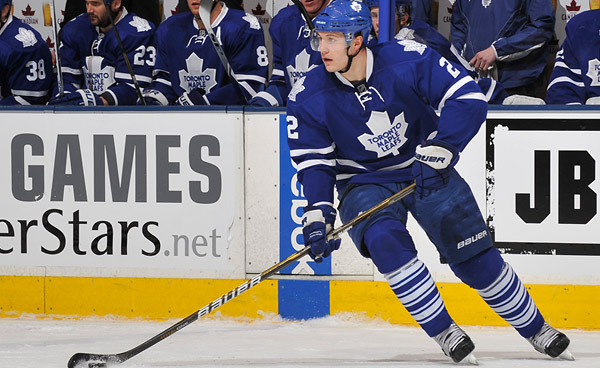 Much speculation has surrounded a potential trade of JVR; but why move him, when they could add a rental for a prospect or draft pick? This very well could be the swan song season in Arizona for the Coyotes. The league will want to unload the burden of running a team and find new owners, in or outside the desert. While the Yotes are still in the hunt, it may make sense for them to unload some twilight vets in return for some enticing draft picks or prospects for a new ownership group to build around. Give Doan and Whitney a chance to win before it's too late. Another team that should wait for the market to come to them is Pittsburgh. It's likely they get Sidney Crosby back for the post season... there is no trade that the team can make that can provide the impact that Crosby can. It's possible that the Penguins could look to add a bottom pairing defenseman, or a scoring winger, but they won't overpay, nor should they trade away their rich pool of blueline prospects for a rental. The Sharks are aging. Their veteran core is slowing, and the Havlat/Heatley swap has backfired thus far. San Jose will need to look to the future at the deadline. Moves made to bolster this years' run will also have to impact the years to come. Trading a Clowe or Vlasic will have to net them players who fit in the long-term plan. The Blues are back as legit contenders. A big part of last year's splash acquisition, Chris Stewart has not meshed well with Hitchcock's system, and post season superman, Halak has been outshone by Brian Elliot. St. Louis can make deadline moves, dealing from strengths to add more system friendly scoring support to add to their staunch defensive game. Get a goaltender. Gone is the magic of Dwayne Roloson, and Mathieu Garon is not a starter. There are plenty of short and long term options out there for Stevie Y and crew. However, with the Lightning so far out of the playoff picture they could very well wait until the off season. There are more opinions on what Toronto should do at the deadline than loud outfits in Don Cherry's closet. The Leafs are in a foreign position... they are almost assured a playoff spot. Brian Burke loves to make noise, but this might be a time better served by keeping together a squad that has worked well together. Kadri and Schenn may take longer to develop than the team and their legion of fans hoped, but the Leafs could regret giving up on them should they be moved for short term improvements. Vancouver is in a tough spot. They need to add secondary scoring and legit toughness. 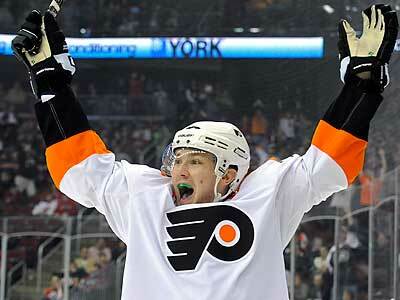 They have a premier bargaining chip in Schneider, but should they move him? David Booth has not light the lamp much, Ryan Kesler may never have a goal scoring season like he did last season, and Schneider may prove be better than the entrenched and highly paid Luongo. There are pieces that can be moved for rentals, but the Canucks will have to get a blue chip building piece in return for Schneider. What happened in Washington? The high flying Capitals decided to tighten things up defensively last season, and they have yet to re-discover goal scoring since then. Even Ovechkin, the game's premier goal man has been sadly pedestrian. The team changed head coaches, but with little results to show for it. This team is in need of a shocking make over. It is time to let Semin and Green start again elsewhere; and rent out Knuble and Vokoun. What many fans forget is that Washington has many young guns in the system, and this is the perfect opportunity to unload a few good current roster assets for a new direction. The Jets are a bubble team playing a lost season in a division/conference that is only a temporary home for them. Winnipeg could do some tinkering to lock up a playoff spot this season, but would be better served waiting to see where re-alignment takes them before making any big decisions.